A few weeks ago, I shared how to read Nook books on your Kindle Fire. Thanks to Jennifer H. on my facebook page for a head up on reading Adobe ePubs from the library on our Kindle Fires! Thousands of libraries across USA now lend out ebooks. 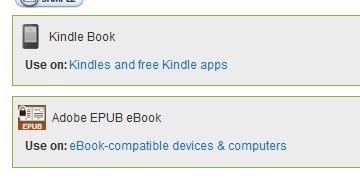 These come in a Kindle format, for Kindle obviously, and Adobe epub for others. Where available, you borrow the Kindle format to be read on your Kindle, but you can also download an app to read the Adobe version. This is helpful in libraries that haven't signed up for Kindle editions yet, but do loan ebooks, or if the book you want in Kindle format has a long waiting list but the adobe is free. It's pretty much the same directions as downloading the nook app but from a different location. Step 1: Go to the Kindle Fire's settings (upper-right) and tap "More," then "Device." Turn "Allow Installation of Applications" to "on." You'll get a warning--just tap "OK."
Step 2b: When you are at that page, see method 2, at the bottom is an attachment aldiko-standard-200160.apk - click that and download it to your Kindle Fire. Step 3: When the download completes, tap the file in the downloads list (which you can access from your Kindle Fire's top bar), and select "Install." Step 4: Go to the App page of your Fire, verify the installation by opening up Aldiko.